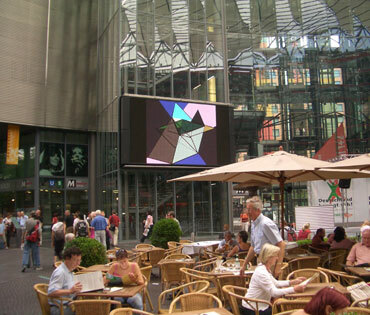 space.color.motion uses the same computer program as space.color (written in 1999) and was updated to run on all computer platforms, including PC's. In the workphase space.color inkjet paintings are realized from instances (or stills) of the 6-D animation. 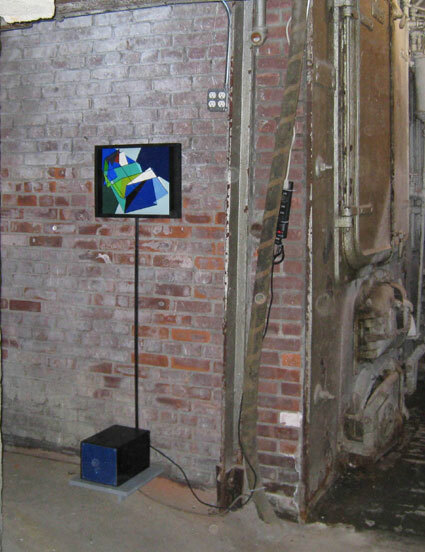 In the workphase space.color.motion, self-built PC's execute the 6-D animation program with each installation using a unique set of parameters which determines the sub-structure and color set. Each time the program is restarted it picks a new set of 6-d random angles and increments (based on the present time and date). This results in "unique" images which don't repeat and are always surprising. Special thanks to Estarose Wolfson who collaborated on various aspects of this project. 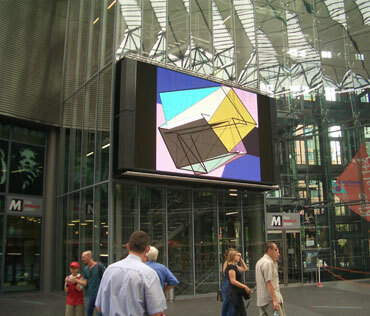 Space.color.motion was first exhibited in 2002 at the Wihelm-Hack-Museum in Ludwigshafen, at Schoeller Galerie in Düsseldorf and at bitforms gallery in New York. two short examples (50sec) of "space.color.motion"